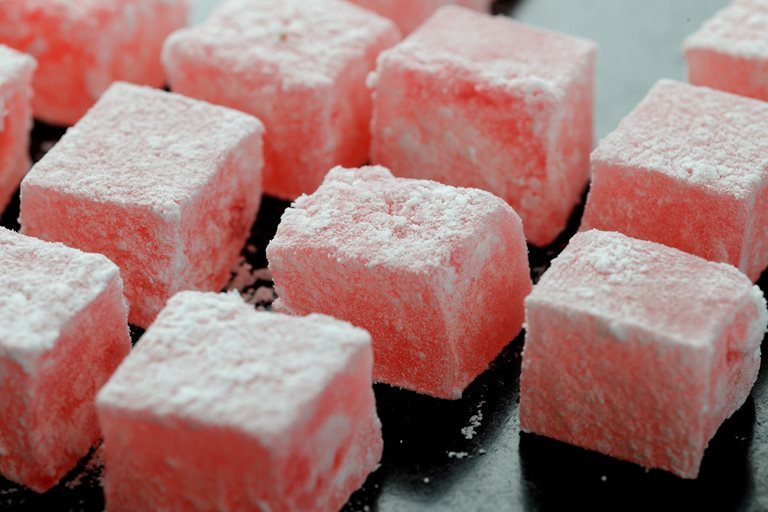 If you’re unable to get hold of a wooden frame for setting this Turkish Delight recipe, you can use a similar-sized baking tin. Neige décor can be replaced with icing sugar mixed with an equal quantity of cornflour if you're finding it tricky to source. Adam Simmonds' recipe requires a minimum of 8 days setting time, so ensure you leave plenty of time if making as an edible gift.